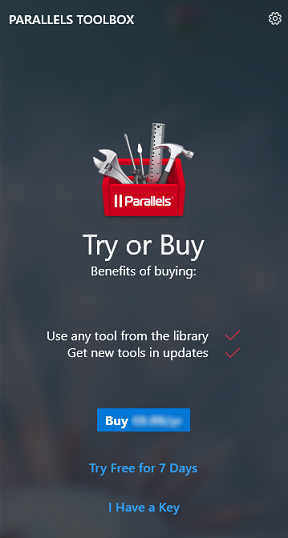 Start Parallels Toolbox for Windows. If you haven't signed it yet, you will see the registration window. You should either sign in to your existing account or create a new one. 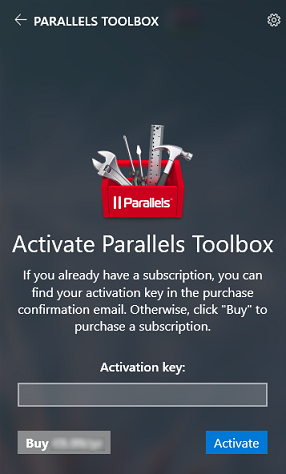 Enter your activation key for Parallels Toolbox, and click Activate. 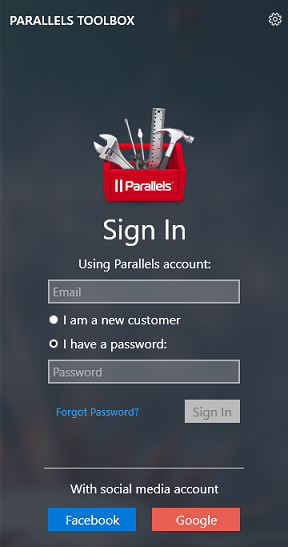 Your copy of Parallels Toolbox for Windows will be activated.